Other Ingredients:gelatin, extra virgin olive oil, glycerol, sunflower lecithin, beeswax, purified water, titanium dioxide, iron oxide. Recommendations:Take 1 softgel, 2-3 times daily. I see that coriander, fennel, caraway seed, and peppermint are “supercritical" extracts. What does “supercritical” mean? Boswellia has a number of beneficial compounds, AKBA (acetyl-11-keto-B-boswellic acid) being one of them. In fact, it supports pathways in the body that even other strong botanicals can’t match. 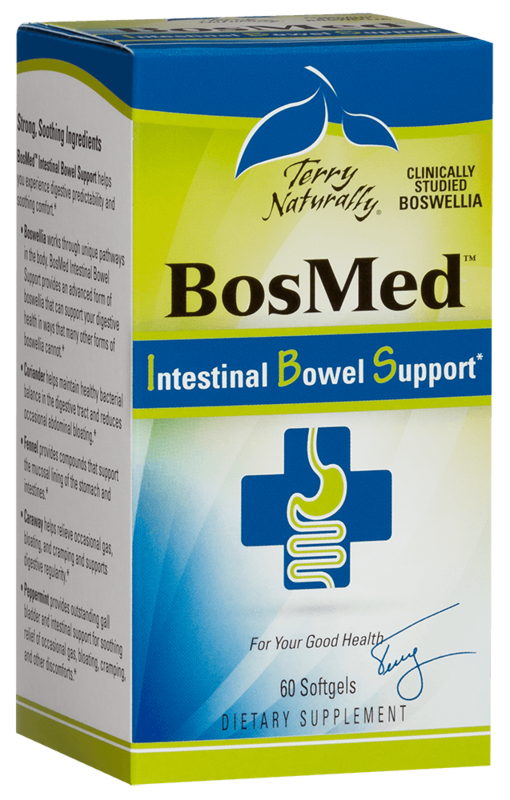 However, unstandardized boswellia can also contain beta-boswellic acid, which is not associated with healthy support of digestion. The boswellia in this formula is standardized using a unique process that ensures at least 10% AKBA, and virtually no undesirable beta-boswellic acid, so you get the benefits you need – and none of the compounds you don’t want.